LiteracyPlanet provides a broad range of writing content with lessons, exercises and printable templates, to develop students' knowledge and understanding of a range of text types. Being able to express thoughts in writing, and to write well, is an essential skill for life. For students it is necessary for effective communication, improves thinking and creativity, and is a key basis on which their work, learning, ability and intellect will be judged. Writing skills also reflect a student’s ability in other areas of literacy such as spelling, grammar and punctuation, as well as their individual style and personality. Good writing skills ensure a student’s ideas and knowledge are expressed accurately and in the way they are intended. Being able to write well is considered such an important skill that it is assessed in national standardised tests for school students in English speaking countries periodically and from a young age. 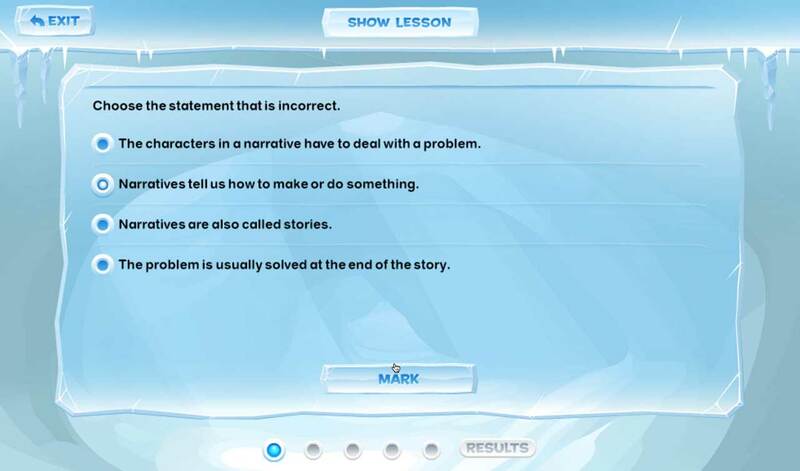 LiteracyPlanet provides a broad range of writing content with lessons, writing exercises and printable templates for persuasive, imaginative and informative texts. Writing lessons outline the purpose of text types and help students identify specific structural and language features. Each writing exercise is linked to a lesson and provides opportunities for students to develop their knowledge and understanding of text types. Teachers and students can also download and print a range of templates to assist in planning for and writing each text type. Templates provide varying levels of support, allowing students to become more independent writers.